Little Rock’s brunch scene is starting to take off and one place that I have wanted to for quite some time is Kemuri. So when my wife and I found ourselves near the restaurant at 11:00 on Sunday, we decided to stop in. The brunch menu is rather large, including most (if not all) of their lunch options. What caught my eye were the unique brunch-specific options, like the Smoked Salmon appetizer with crispy rice cake, yuzu and chive cream cheese, pickled cabbage, capers and cilantro ($12), Chocolate Cappuccino Pancakes ($10), or French Toast with bacon-apple compote ($10). 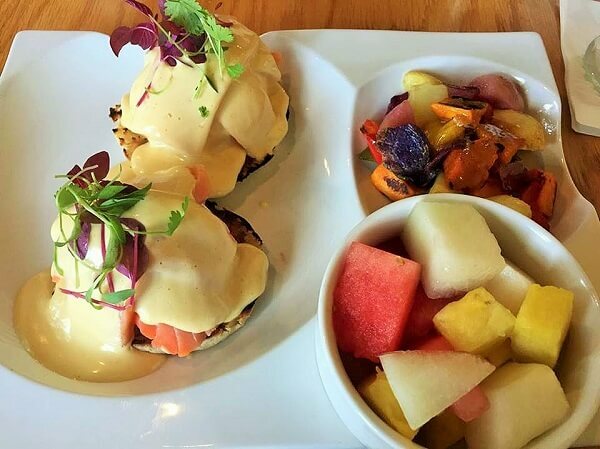 My wife chose the Green Tea Pancakes with fresh berries, ginger honey, Chantilly cream, and peanut granola ($10) and I decided on the Smoked Salmon Eggs Benedict ($12). We also opted for a side of Asian sausage, which was excellent, but not really needed with the amount of food that we received. 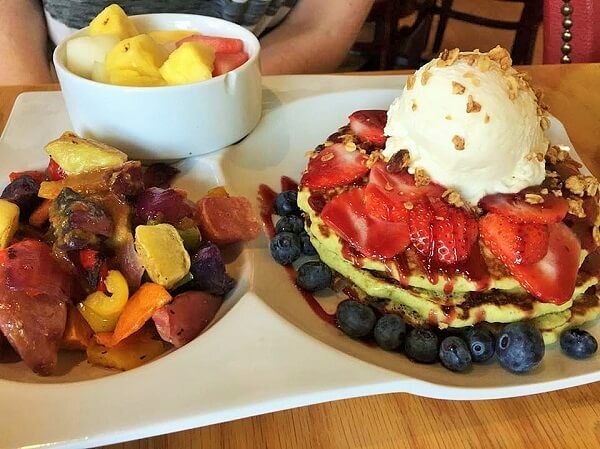 The Green Tea Pancakes were definitely different than any pancake I have ever tried. During the first bite, I didn’t really taste the green tea, but subsequent bites revealed a very pleasant green tea flavor that went surprisingly well with the fresh strawberries, blueberries, and Chantilly cream. While I wanted to try one of the more interesting dishes, I am a sucker for eggs Benedict, specially the Hollandaise sauce element of it. 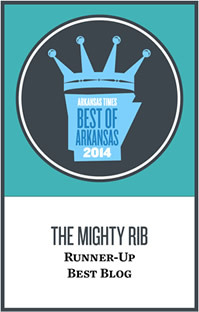 They offer three different variations (soft shell crab, smoked salmon, and thick cut Petit Jean Bacon). I opted for the smoked salmon, which ended up going very well with the yuzu Hollandaise sauce. They also didn’t skimp on the salmon, which included two generous pieces draped over each of the eggs. But the star, at least in my mind, of each dish was the sweet potato hash. Potato hash seems like such a boring side item to put with all of the unique offerings, so I was a little bummed to see it on the menu. But this was different than any potato hash I’d eaten. They used a roasted sweet potato medley with onions and peppers, which isn’t that uncommon, but what really took this dish to the next level was the sauce. Kemuri topped the potatoes with a ginger sauce (think the ginger sauce served at Japanese steakhouses). It took me completely by surprise, but what a pleasant surprise it was. However, the meal wasn’t flawless. My poached eggs could have benefitted from a few seconds longer in the bath and my wife’s pancakes needed a little more ginger. But these are really small, nit-picky items that certainly won’t deter us from going again. Soon. Like next Sunday, soon. Kemuri has done an excellent job of taking traditional brunch items and blending them with Japanese ingredients in a very unique, but approachable way. On my visit, the main dining room was only about 1/3 full by the time we left, but I expect this to be one of the hotter brunch spots as soon as word gets out about the quality of food being served.